Pack it up and hit the road. Now there's a precision laser mouse that travels well and is ready when you are. 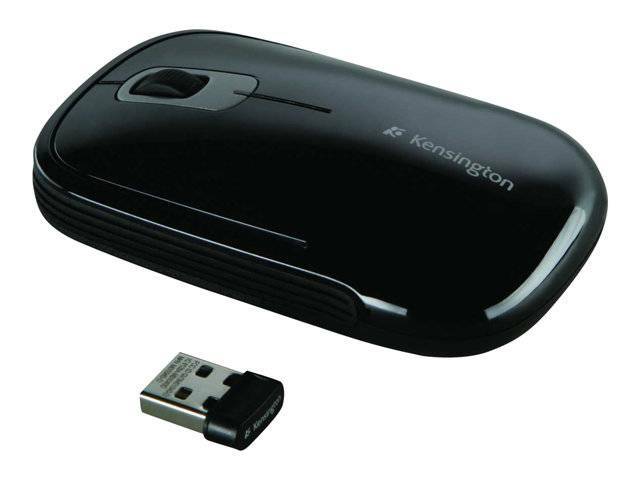 With a nano receiver that doesn't need to be unplugged from your laptop and a comfortable thin design, the Kensington SlimBlade Mouse with Nano Receiver is always ready to work. Compatible with Windows 7 "Compatible with Windows 7" software and devices carry Microsoft's assurance that these products have passed tests for compatibility and reliability with 32-bit and 64-bit Windows 7.